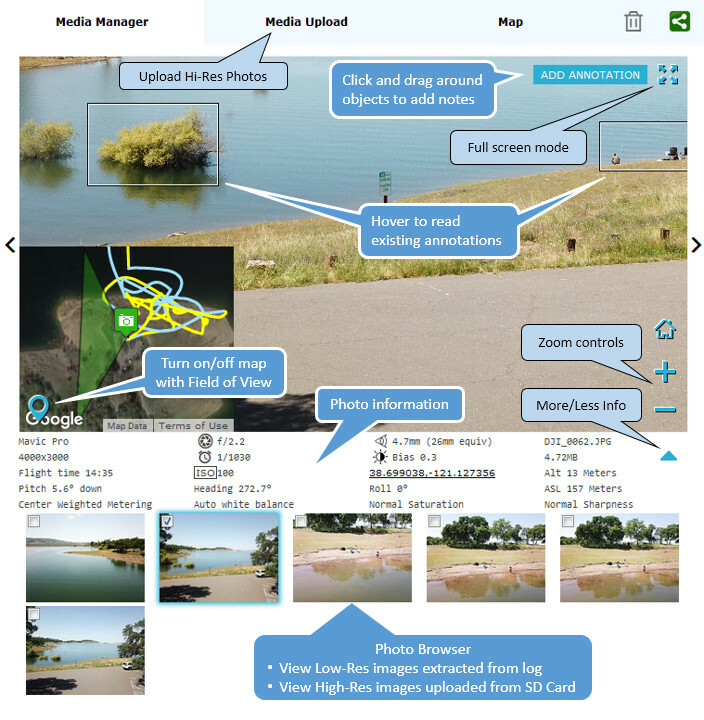 Add annotations to photos to highlight important items using the Media Manager (video annotations are coming soon). Share these annotations with clients, coworkers and friends. 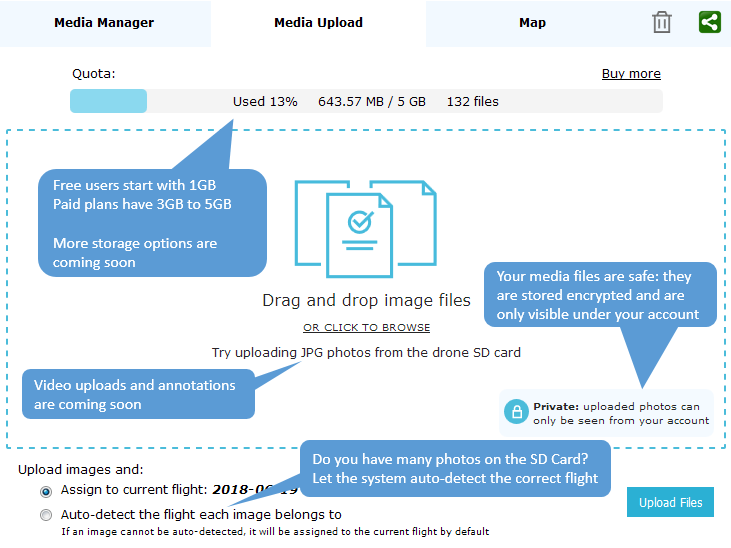 We know you have many photos, so we built a smart upload to automatically detect what photos were taken with which flights, so it's all nicely organized and easy to search. We are still finalizing the quota system so please stay tuned on various options there. 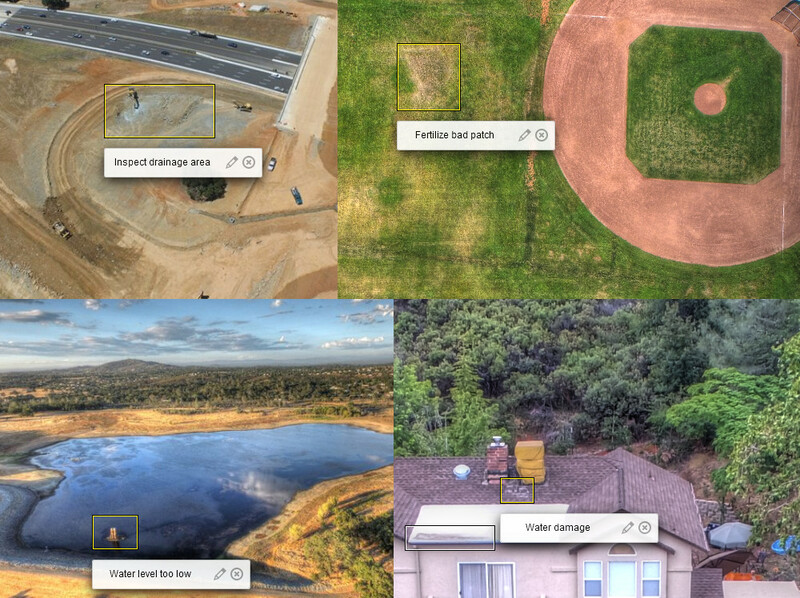 SkyWatch provides drone insurance based on how you fly. Our friends there have made their flight logs compatible with Airdata. Currently the logs are supported on their Android flight app, and soon on iOS as well. This new aircraft is now fully supported in our platform. A frequent request from our Enterprise customers is to be able to attach various documents to flights. We are still finalizing the all the details, but this feature will be available very soon (Enterprise plan only).